The 2017 International Meeting on Atomic and Molecular Physics and Chemistry (IMAMPC) will be held in the city of Toruń, Poland at Nicolaus Copernicus University, 19 – 22 June 2017. The meeting is primarily dedicated to young researchers, in the early stage of their scientific careers. In particular, a considerable number of oral presentations will be given by Ph.D. students. The conference is focused mainly on atomic and molecular physics and chemistry (both experimental and theoretical). During the meeting many plenary lectures will be presented by world-class experts. Physical Chemistry Chemical Physics will be providing poster prizes at the event so submit and bring along your very best atomic and molecular physics and chemistry posters for consideration! Poster prizes will be awarded from Physical Chemistry Chemical Physics (PCCP), Energy & Environmental Science, and Sustainable Energy & Fuels. 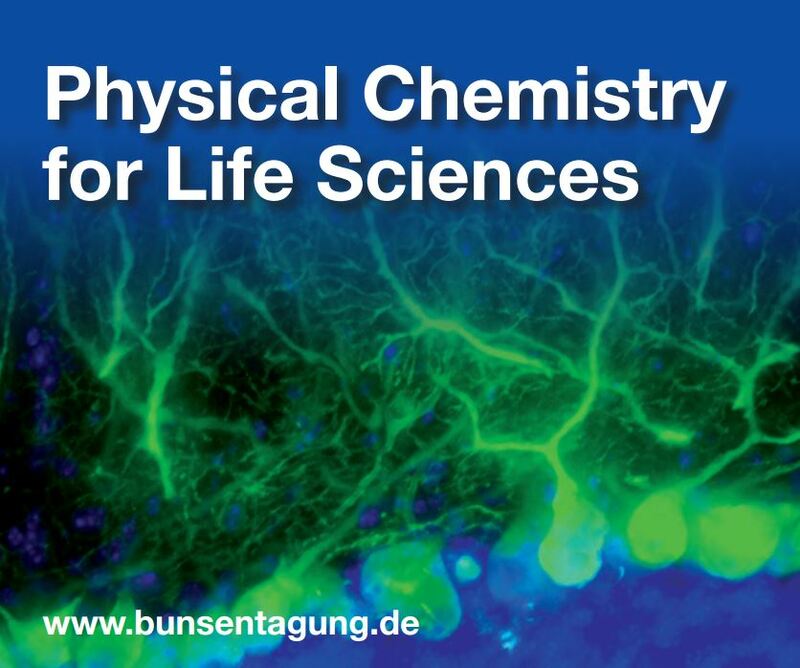 The German Bunsen Society of Physical Chemistry (DBG) will be hosting the 116th General Assembly of the German Bunsen Society for Physical Chemistry from 25th to 27th May 2017 at the TU Kaiserslautern, Germany. PCCP Executive Editor Dr Anna Simpson will be attending and looks forward to meeting you there. The assembly will also include an industrial symposium with accompanying exhibition and career forum. The tremendous progress in Life Sciences that brought this discipline into the public spotlight in the last decades has been spurred by the development and refinement of methods from both experimental and theoretical physical chemistry. The contribution of physical chemistry to Life Sciences as a key technology of the 21st century has enabled the analysis of biologically relevant processes on a molecular level. This has been vital for medical science to design drugs and therapeutic approaches. Physical chemistry concepts and methods branch out into the fields of biochemistry, molecular biology, and molecular medicine. This meeting shall bring together outstanding scientists to discuss cutting-edge results and push the frontiers of these fields further. The strong interdisciplinary focus of the 2017 Bunsentagung should foster discussions and spawn new collaborations across the boundaries of scientific disciplines. Read the official themed issue of the international Bunsentagung 2017 meeting entitled “Physical Chemistry for Life Sciences” published by PCCP online now. The 2017 UCCS meeting was held at the Lake Arrowhead conference center on March 27th – 29th 2017. The University of California Chemical Symposium was a symposium for current graduate students and postodctoral researchers in all fields of chemistry at all of the University of California campuses. Keynote speakers of the 2017 meeting included Professor Vy Dong and Professor Catherine J. Murphy. 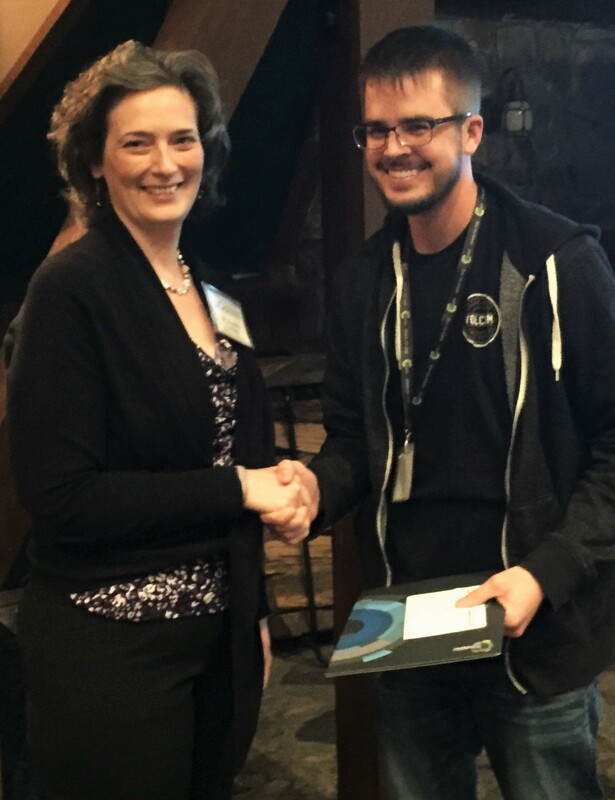 The PCCP Poster Prize was awarded to Chad Cruz from the University of California, Riverside, for his poster entitled “Utilizing Intermolecular States for Photon Upconversion in Molecular Crystals of Rubrene” and presented by Dr Jennifer Griffiths, the RSC Editorial Development Manager, Americas. This meeting is the first of its kind, and aims to bring the UK Physical Chemistry community together once every 2-3 years to highlight excellent research. The aim of the conference is to increase the visibility of the UK physical chemistry community and encourage links with international researchers as well as those in industry. Dr. David Glowacki, will be giving his PCCP Emerging Lectureship Award talk at the conference on Wednesday 12th April, presented by PCCP Deputy Editor, Katie Lim. The ISMB2017 is the 27th edition of the International Symposium on Molecular Beams which will take place from 25 – 30 June 2017 in Nijmegen, the Netherlands. Chaired this year by Bas van de Meerakker (Radboud University), and Anouk Rijs (Radboud University, PCCP Associate Editor) the conference promises a stimulating and interesting scientific program with oral and poster presentations, lively discussions with other scientists in the field and social events. Invited speakers at the event include: Mattanjah de Vries (University of California Santa Barbara, USA, PCCP Advisory Board), Luis Bañares (Universidad Complutense de Madrid, Spain, PCCP Associate Editor), and Dan Neumark (University of California Berkeley, USA, PCCP Advisory Board). Register now: early bird registration closes 1st April. For more information visit the conference website. The biannual International Symposium will take place in Hayama, Japan on 27th August 2017 – 1st September 2017. The Free Radicals series aims to provide a strongly interdisciplinary forum for chemists, physicists, astrophysicists and environmental scientists for exchanging the latest research results on diverse aspects, experiment and theory, of free radicals. For more information, please check out the website. PCCP was pleased to support the XLIV Congress of the Division of Physical Chemistry of the Italian Chemical Society which took place in Naples from the 20th – 23rd September 2016. The following were winners of the PCCP sponsored Poster Prizes. 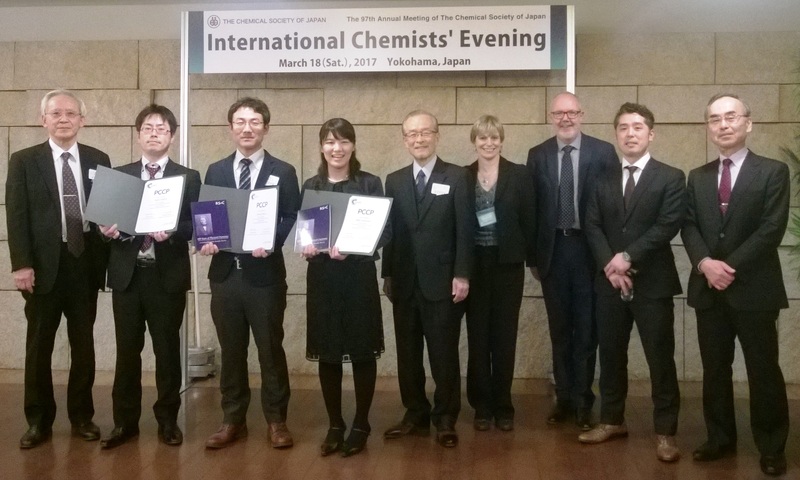 PCCP were pleased to support the 19th Annual Meeting of the Japanese Association of Theoretical Chemists took place on 23rd – 25th May 2016 at Waseda University, Japan.